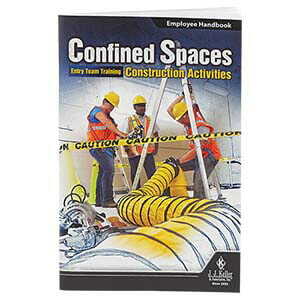 Helps employees meet requirements of the new OSHA standard regarding construction activities in confined spaces. English & Spanish available all in one program. Read more. OSHA issued a final standard for construction work in confined spaces, which took effect August 3, 2015. 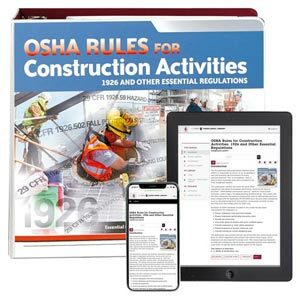 The new standard, Subpart AA of 29 CFR 1926, sets requirements for practices and procedures to protect employees engaged in construction activities at a worksite with one or more confined spaces. However, the standard does not apply to construction work regulated elsewhere in Part 1926 for excavations, underground construction, and diving operations. 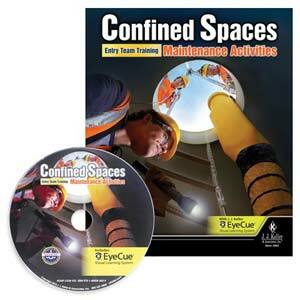 Learn more about new confined spaces rule. 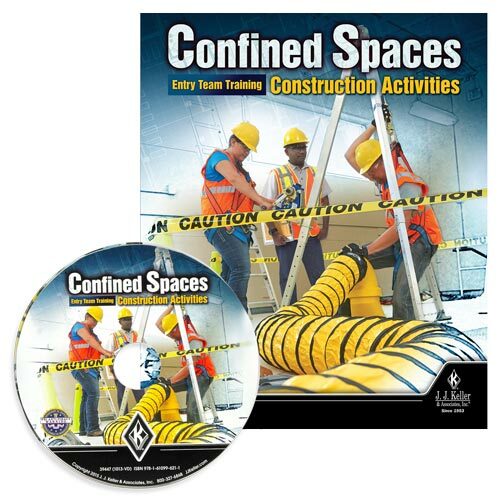 The new OSHA Standard requires that companies that do construction activities must "ensure that each of its employees who enter a confined space acquires the knowledge and skill necessary for the safe performance of confined space entry operations"
(1) 27-minute video – Provides an overview of the new confined spaces regulation; hazards inherent to confined spaces on construction jobsites; precautions that must be taken before a confined space is entered; how to recognize and avoid unsafe conditions; and proper use of required protective and emergency equipment. 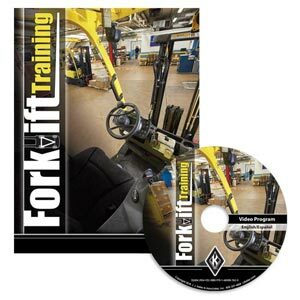 (1) Trainer Guide (English only) (not sold separately) – Helps trainers prepare for and deliver effective training sessions and provides an overview of the new standard and the new employer requirements related to it. 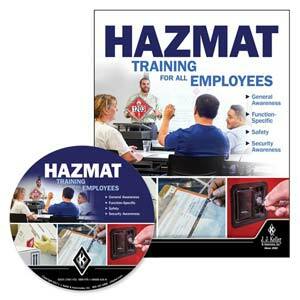 (11) Employee Handbooks (10 English; 1 Spanish) Product Codes: 39451, 47369 – This reference reinforces training. 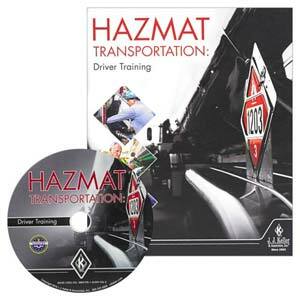 It follows the information in the DVD video and provides employees with an easy-to-use, post-training resource. Also provides key definitions (published in the final rule). (20) Wallet Cards (10 English; 10 Spanish) Product Codes: 39452, 47372 – Provides quick, simple proof that training has been completed. Includes two wallet card sheets, perforated to provide 10 cards each. (2) Awareness Posters (1 English; 1 Spanish) Product Codes: 39449, 47371 – A full-color, photo-based reminder of the key issues of confined spaces. Helps train “other” construction workers – those who work around confined spaces but are not part of a trained entry team – on the warning signs used to mark confined spaces and what they mean. (1) Trainer Tools CD (not sold separately) – Includes a host of materials that trainers can use to enhance and add variety to training: PowerPoint® presentation; additional quiz questions (and an answer key); photo-based images; learning activities; examples of pertinent forms; a training certificate; sample confined spaces written plan; and a training log to help track attendance. 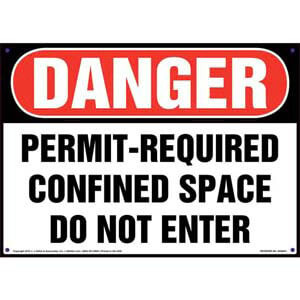 (1) Permit-Required Confined Space Sign Product Codes: 2232 – Danger Permit Required Confined Space Do Not Enter sign meets the requirements of 29 CFR Section 1910.146(c), sign is intended to inform employees of the existence, location, and danger posed by permit-required confined spaces. (1) Confined Space Entry Permit "Example" Product Codes: 2195 – Used as a starting point to develop company-specific entry permits, includes the 15 elements listed in 29 CFR Part 1910.146(f). Play Program – Plays entire main program (running time: 30 minutes). Spanish option available for all sections. If you are not able to view the above video, please click here.